Artist’s conception of the proposed Lafford apartment building on the hill overlooking Main St.
Sackville Town Council will hear about two controversial issues at its next meeting on Tuesday, May 15th. Council has scheduled a formal public hearing on the proposal from local developer JN Lafford Reality Inc. to build a $6 million luxury apartment building on the former United Church property at Main and York Streets. 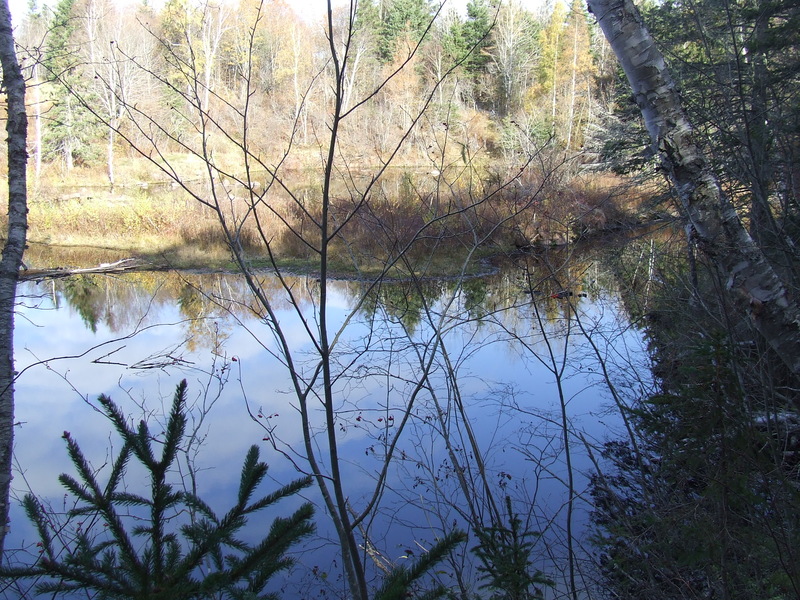 And, corporate manager Jamie Burke is expected to brief councillors on why the town failed to get a $1 million grant to create a much sought-after wilderness park in Sackville’s old Pickard quarry. The historic Sackville United Church was demolished in September 2015 in spite of persistent efforts by a community group to save it. In a last ditch effort to rescue at least some of the building, the group says it offered JN Lafford Realty Inc. $175,000 to leave the outer walls standing with their four-metre stained glass windows intact. The idea was to preserve the overall appearance and streetscape in the heart of downtown Sackville while leaving the Laffords free to build inside the old church. The new apartment building would be about the same size as the one at 23 York St. But the Laffords said that by then, the building was too far-gone to save. Today, the property where the church stood has two new commercial/ residential buildings, one at 112 Main Street which houses Service New Brunswick and another, larger building at 23 York Street. Government records show that the property is assessed at more than $5.3 million with municipal taxes this year amounting to $168,386.65. Now, the Laffords are proposing to build a four-storey seniors’ apartment building with up to 36, two-bedroom units on the part of the property that overlooks the Mount Allison campus, the swan pond and the Sackville Waterfowl Park. John Lafford says the apartments would be at least 1,250 square feet with monthly rents ranging between $1,450 and $1,700. 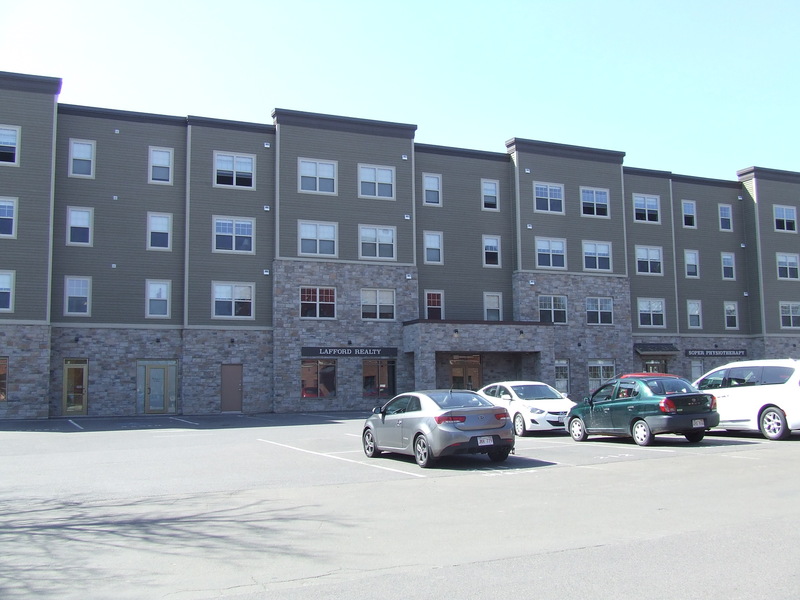 During an interview in March, he pointed to the benefits from an upscale building that would attract well-heeled, older people to Sackville. 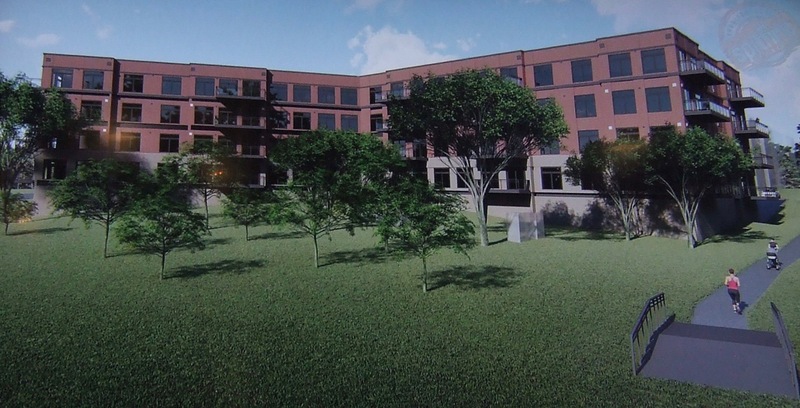 To make their plans work, however, the Laffords need the rezoning of a small parcel of land behind the old Methodist cemetery to permit construction of a high-density residential building with underground parking. Without the rezoning, they say they could still put up a cheaper building for student tenants with above-ground parking. Lafford says the rezoning would allow them to position the building in a way that would make it more attractive. “The reason why we’re asking for a little piece that is already [zoned] institutional is just to make our development look more complete and be able to keep a little more greenery, more trees,” he says. He acknowledges that birch trees would need to be removed during construction, but says the company intends to replace them because upscale tenants want greenery. “It’s not to our advantage to have a bunch of pavement around the building,” he says. 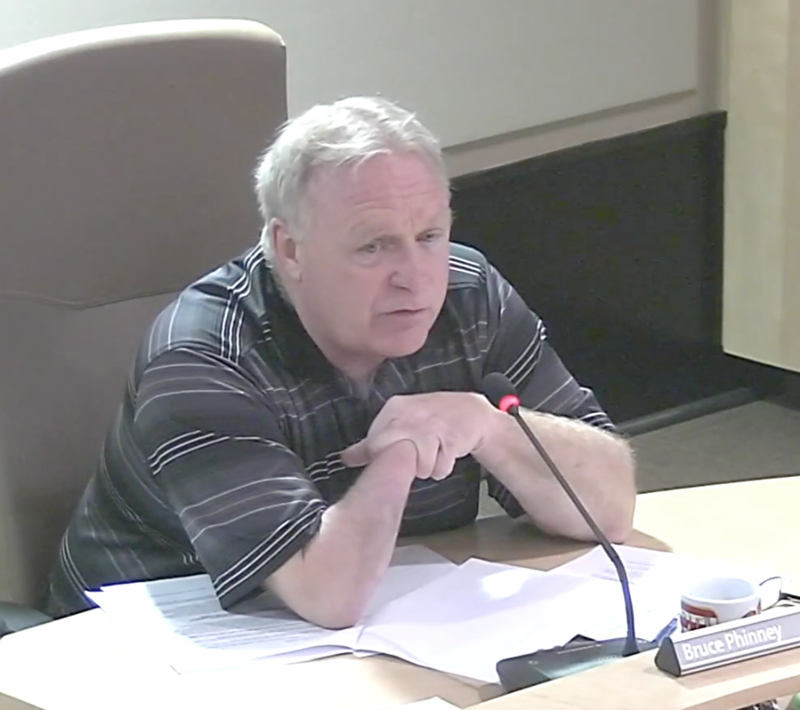 When the rezoning request first came before town council last month, Councillors Bill Evans, Megan Mitton and Joyce O’Neil spoke in favour of the new building. Evans pointed out that when the Laffords bought the United Church land in 2012, town council decided then to rezone most of it as mixed use, but wasn’t sure of the boundaries, so it was just a “fluke” that a small part remained institutional. Council decided to set May 15th as the date for a public hearing on the rezoning request with only Councillor Bruce Phinney voting against. He said the new building would add to traffic congestion in the parking lot that has entrances and exits off Main and York Streets. Under the Lafford proposal, tenants in the new building would travel through the lot to get to their underground parking spots. “I go there quite often,” Phinney said. “I have people telling me they won’t drive to go to Service New Brunswick because there’s no place to park down that way,” he added. Meantime, Warktimes has been hearing from people echoing Phinney’s worries about traffic congestion and safety. In addition, some are expressing concern about the loss of more green space and trees in the heart of downtown. It appears too that the demolition of the old church still rankles while some have commented that the town should worry more about the housing needs of the local elderly with limited means rather than about catering to well-off seniors from out of town. If those opposed to the new apartment building participate in Tuesday’s public hearing, things could get hot, but at this point, there’s no way of knowing. For awhile last week, it looked like councillors would also be hearing from fervent supporters of a new park in Sackville’s old Pickard quarry, now that the town’s application for a $1 million grant to build it has fallen through. The Tantramar Outdoor Club e-mailed members urging them to attend the council meeting to show their continuing support for a wilderness park at the end of Quarry Lane. But the club rescinded the call after learning that councillors aren’t likely to discuss the matter until a later date. However, council is expected to hear from manager Jamie Burke about why the Federation of Canadian Municipalities (FCM) denied the grant. The FCM administers the money on behalf of the federal government under a municipal Climate Innovation Fund. Sackville pitched the park project along with a proposal to build a water retention system in the quarry to restrict the flow of storm water down to Lorne Street during heavy rains. The town had allocated capital spending of $200,000 this year to go with the anticipated million dollar FCM grant. Meanwhile, the outdoor club is offering to lend the town one dollar to purchase the quarry from Mount Allison so that it can begin working on park trails. This entry was posted in Town of Sackville and tagged JN Lafford Realty Inc., Pickard quarry, Tantramar Outdoor Club. Bookmark the permalink. Another well-written and well-researched article, thanks to the hard work of Bruce Wark. I was present at the Town Council meeting when this topic was first raised, when it was reported to Council that funding was being sought and $200,000 was being set aside in this year’s budget for building a park at the quarry. It came as completely new news to citizens, and from conversations with several Councillors after that meeting, I learned that they too (Council) had no previous knowledge of this plan. And there appears to have been no further information, or plans, available since that time. So the question becomes – by whom was it “much sought-after”? Let me get this right. The town wants to put 1 million dollars into the old quarrie but still pump town waste into the Tantramar river. Now think about this people. Heated debate or not, will the public hearing make any difference? Or is it just a show of so-called democracy? I say this even if I am not sure it is fair to ask for re-zoning when someone already owns a land. This is my personal opinion (despite the old white beautiful church‘s saga). Anyhow, what is surely unfair is the apparent double-standard treatment of entrepreneurs in our town. Some seem to easily get the green light even in the face of opposition. The questions to the Laffords are: Although this is your land, will the new (large or smaller) building hide the view of the Waterfowl park? What about the little charming bridge: Will it be preserved? 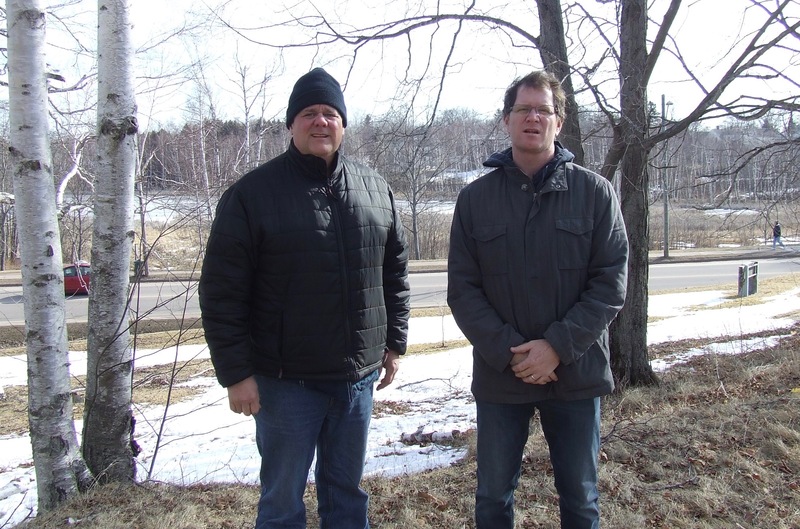 The birch trees: Will some be preserved? And will the cemetery be affected? These questions matter to us, as citizens (it is the least as this our town’s downtown). To the potential 50+_aged renters: Welcome to Sackville, if you wish! As Mr. Heffler wrote: This is expensive by Halifax-standard. Actually, I find it expensive by Montreal-, Toronto, and… almost by Beirut-standard :).